Congratulations to members and the offshore negotiating committee for their work in achieving this breakthrough for the Australian industry. Members voted on Sunday, October 7 to extend the template agreement to other offshore film producers outside the major studios. Offshore producers have been negotiating one-off deals for each large-scale international production for more than 10 years. In 2014, MEAA members called for a template agreement to cover all of these productions and put forward a set of conditions that represented a balance between conditions that were tailored for US producers, while still protecting some key conditions for Australian crew. In 2017, following continued one-off negotiations, MEAA asked studios to put forward an offer to start negotiations for a template. After intensive negotiations an in-principle agreement was reached. The agreement includes a new rates schedule for more than 200 positions, annual pay increases and all of the studios locked in, but also includes some compromises on conditions. The four-year agreement will run until 30 June 2022. The offshore negotiating committee has unanimously endorsed a four-year in-principle template agreement with the six major Hollywood studios. The deal will cover feature films with an Australian spend of at least $15 million. • certainty for crew and producers, with all six major Hollywood studios locked in for four years. For the first time, crew will have an agreement that provides pay increases to everyone working under it. The minimum rate for each role will be increased by 2% on July 1 each year, and where an employee negotiates a personal margin above the minimum, the increase won’t be absorbed into the margin — that is, they will also get the increase. The successful rates negotiations were led by members of the offshore negotiating committee, supported by a whirlwind petition that gathered more than 600 signatures from working crew in just a few days. The negotiations resulted in a fair outcome on rates, as well as the restoration of the 25% casual loading for dailies. The deal will be formally signed off by all parties once drafting is completed. Members’ meetings will be held at 10am on Sunday, October 7 to vote on the committee’s recommendation that MEAA should enter into a term agreement with any offshore producer using the same terms, conditions and expiry date as the in-principle agreement just negotiated with the major studios. There are indications already that other offshore producers would want to use the template agreement for productions shot here. The meetings will also be used to brief members on the outcome of the rates negotiations. Updated June 25: MEAA screen technician members have overwhelmingly endorsed proposed conditions for Australia’s first offshore template agreement covering crew working on large scale international feature films. The proposal from the six major Hollywood studios was agreed at a two-hour national meeting of members called on Sunday morning. The offer was made following weeks of negotiations between the studios’ US-based labour relations executives and the MEAA offshore negotiating committee, made up of 31 senior members who work in the offshore sector. It contains improvements to the original proposal put on the table by the studios in April in the areas of sixth day overtime, public holiday penalties, provision of meals and two-day turnaround. MEAA and the studios have also agreed to an intensive eight-week period of discussions on outstanding issues around rates, pay increases, casual loading, and flat fee arrangements to be included any final agreement. Members also endorsed the committee’s recommendations that MEAA works proactively with international unions representing screen crew to develop an global strategy for the sector; and that all members work over the term of any final agreement to build membership and unity in order to improve conditions in future. A template offshore agreement has been years in the making, with the purpose of providing greater certainty and transparency for crew and the studios when planning international productions in Australia. 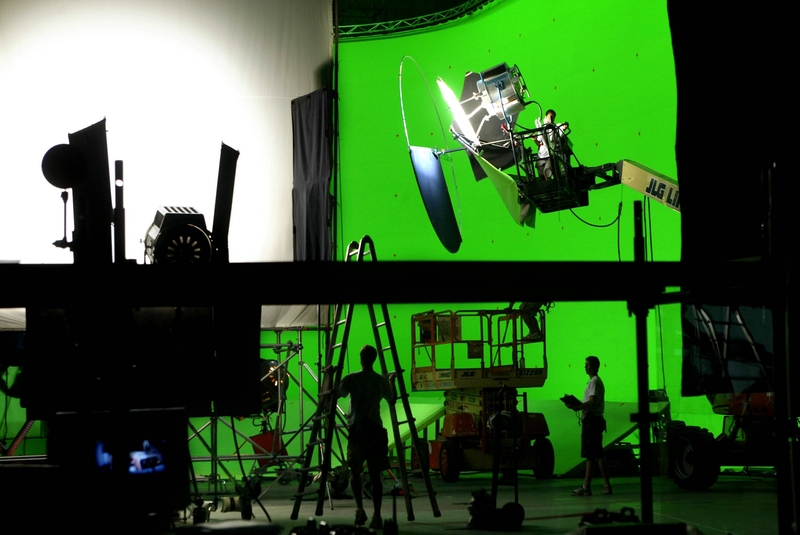 Updated June 15: MEAA screen technician members will meet nationally on Sunday, June 24 to consider a final offer from the six major studios for a template agreement to cover crew working on large scale international feature films. The new offer includes further improvements from the initial offer (detailed here). The offshore negotiating committee, which is made up of 33 MEAA members who work in the offshore sector and was endorsed to progress the negotiations by members meetings on May 12, has met twice with studio representatives to press for improvements and get the best possible offer at the negotiating table. The committee will report back on the negotiations and make a recommendation to members on whether or not to accept the offer at the meeting on June 24. Only financial members will be able to attend the meeting and vote on whether or not to accept the offer and any other matters. Please RSVP here to help facilitate this process. Distant location/SA/WA: Register to call in by contacting Gerard Brown. Updated June 13: Early pre-production crew have narrowly supported the producer’s proposed agreement to cover the live action feature Dora the Explorer, which will shoot on the Gold Coast in the coming months. The agreement reflects the current offer for an offshore crew feature film template agreement from the major studios, including Paramount, which is producing Dora. The narrow margin of just three votes demonstrates the instability in the current process of single enterprise bargaining for the sector. At a meeting with major studio representatives last week, the offshore negotiating committee argued for improvements to the current offshore template agreement offer in the areas of sixth day overtime, two-day turnaround (aka weekend turnaround) and provision of meals. Studios undertook to respond to the proposals as soon as practically possible. The committee will make a recommendation to members on any final offer at national meetings prior to members voting on whether to accept. The Dora proposal summary and comparison that was voted on can be found here. Updated May 30: The major studios have revised their offer for a proposed template agreement for crew working on large scale international feature films. The new offer includes improvements to sixth day overtime and public holiday penalties, however there has been no movement on the issue of Sunday penalties. Updated May 23: The offshore negotiating committee (endorsed by screen technician members on May 12) has met with the major studios to discuss the proposed template agreement for large scale international feature films. The committee members took the opportunity to give insight into members’ thinking on the importance of penalties, rates and safety. The meeting was positive and productive with a formal response from studios expected this week. The committee will continue discussions until studios put a final offer. Any final offer will be put to a vote of members. Updated May 14: MEAA screen technician members met nationally on May 12 to kick off a negotiation for an offshore template agreement with the six major Hollywood studios. Members endorsed a negotiating committee of senior technicians and creatives to meet with the studios’ representatives. The committee will progress the negotiations as far as possible at the negotiating table. Any final offer from the studios will be brought back to members for a vote. Members welcomed the studio offer for a proposed agreement, recognising that a consistent template agreement for large scale features is desirable rather than the current practice of one-off negotiations on every job. MEAA members also recognised the importance of working constructively to resolve outstanding issues in a timely manner. Members endorsed the committee’s recommendation to seek improvements to the studios’ initial offer in key areas, including Sunday penalties and sixth day overtime, but to accept the studio position on daily overtime. Although members welcomed the recognition of realistic minimum rates and annual pay increases in the studio proposal, there remains some work to be done to ensure that these are set at the right levels. The negotiating committee will seek meetings with the studios’ representatives to progress the negotiations. Any final offer will be put to members for a vote. Only financial screen technician members who attend the meetings will be able to vote. On May 12, 2018 members endorsed a bargaining committee of members who work in offshore who had nominated to directly participate in negotiations with studio representatives. The offshore bargaining committee progressed the negotiations on conditions as far as possible and recommended endorsement of the final offer from studios by members at national meetings held on June 24. The recommendation was overwhelmingly endorsed. This in-principle agreement on conditions was dependent on the resolution of rates related issues that were still outstanding in the negotiations. At the meetings on June 24, an expanded bargaining committee was empowered by members to reach an outcome on these matters. The committee and MEAA officials negotiated directly with studio representatives to create a new schedule of rates for more than 200 roles, as well as reaching agreement on annual pay increases and other rates-related issues. As a result we have an in-principle agreement for a template between MEAA and the studios. MEAA and studio representatives have reached in-principle agreement on rates to be included in the offshore template agreement. The rates listed will be the new minimums for large-scale studio films and will be increased by 2% each year. The agreement will also acknowledge negotiated personal margins that sit on top of the minimum rate. These personal margins will not absorb the annual minimum rate increases. For dailies, the minimum rate is the same as the weekly rate (pro-rata) plus a 25% casual loading. Where a position is “flat fee”, the employee will be paid for five days ‘flat’, that is, without being able to claim any additional overtime or night loadings (where applicable). Payments for additional days worked will be negotiated between the employee and the UPM. Agreed minimum rates for the 2018 screen offshore template agreement. See also the in-principle agreement summary. Summary of in-principle agreement with offshore studios. See also the agreed new minimum rates. To be read in conjunction with the Offshore Template Studio Final Offer Details. To be read in conjunction with the Offshore Template Studio Final Offer Summary. To be read in conjunction with the Revised Offshore Template Studio Proposal Comparison. To be read in conjunction with the Revised Offshore Template Studio Proposal Summary. To be read in conjunction with the Offshore Template Studio Proposal Comparison. To be read in conjunction with the Offshore Template Studio Proposal Summary. The rates listed represent separate proposals from MEAA and the combined major studios on new minimum rates to be included in a template agreement for offshore feature film. The rates represent proposed minimums that individuals would be able to negotiate above. This is a draft of the offshore template agreement proposed by the six major Hollywood studios for features produced in Australia.